What is a dog muzzle and why is it used? A dog wearing a basket muzzle. Photography by cynoclub/Thinkstock. A muzzle is a device that is placed over a dog’s snout that restricts how wide he can open his mouth and what his mouth can access. Dog muzzles are used for a variety of reasons, which we will review below. Dog muzzles are available at almost any pet supply store. There are several different styles and materials of dog muzzles. A basket muzzle, plastic or metal, is the best choice for most occasions. When fitted correctly, a basket muzzle allows a dog to pant, drink and even eat. A fabric or cloth soft muzzle is a good addition to your dog’s first aid kit in case of emergencies. Reach out to a professional trainer or behaviorist for help in choosing the dog muzzle style and fit that best suits your needs. Then, train your pup to wear the muzzle. According to the Muzzle Up Project, training goes best when it’s fun and taken at a slow pace with a properly fitted muzzle. Never let your dog wear a muzzle unsupervised. When you and/or your pup is more comfortable with it on. Some dogs find wearing dog muzzles comforting when around other dogs in situations like vet waiting rooms. Listen to your dog. If he seems more at ease with it on, let him wear it. When your dog is injured or scared. The American Veterinary Medical Association warns, “Never assume that even the most gentle pet will not bite or scratch if injured. Pain and fear can make animals unpredictable or even dangerous.” Note that the organization also says NOT to use a muzzle if your dog is vomiting. During an emergency. If you think you get rattled during an emergency, can you imagine what your pet is feeling? A flood, earthquake, fire or other disaster often means evacuating. Having muzzles for big dogs and carriers/crates for smaller dogs easily available will make your exit safer and easier. When it’s the law. There are places that require all dogs to wear muzzles. Usually, these are public locations that are well traveled and/or have a large concentration of humans in a confined space. For example, I live in Los Angeles. There is a small dog-friendly island just 26 miles off our coast. A short boat ride transports people and their pups back and forth daily. Dogs are required to wear muzzles on board this boat. Even if we don’t like it and don’t approve, breed-specific legislation (BSL) in some areas requires that specific breeds and breed mixes wear dog muzzles whenever they are in public. Don’t put your dog at risk by ignoring these rules. Remember to investigate local laws and requirements when traveling with your pup. If some places on your route require a muzzle, take time in the months before you leave to get your dog used to his muzzle and teach him it’s not something to fear or hate. When your dog’s behavior demands it. Not every dog is good with other dogs, animals or people. That’s OK. If your pup has aggressive tendencies, do what’s best for him, and set him up to succeed. That may mean wearing a muzzle in public while he is learning appropriate social skills with professional help. A dog bite is nothing to take lightly. A medical professional should examine any dog bite that breaks the skin, either on a human or another dog. The injuries resulting from dog bites can range from something as simple as wounds that need antibiotics to serious injuries and even deaths. Most areas require reporting dog bites to the authorities and if someone ends up at the ER, the medical professional is most likely required to report it. What happens to the dog that caused the injury depends on where the assault took place, how bad the injury was and, unfortunately in some cases and areas, the dog’s breed. The biting dog may need to be assessed by professionals, quarantined by you or a shelter, rehomed or — in extreme cases — even euthanized. The legal, emotional and financial results for the dog’s owner can be devastating. You may have to cover medical costs for the victim, your homeowners or dog insurance may increase, or you may even have to find funds to attain a lawyer. Certainly, anything you can do to keep you and your dog from this kind of pain is worth your consideration. Of course, the use of a dog muzzle doesn’t guarantee a dog won’t bite, but it is a step you can take to help keep you and your pup safe. Tell us: Do you muzzle your dog? What are your tips for getting your dog to wear his muzzle calmly? 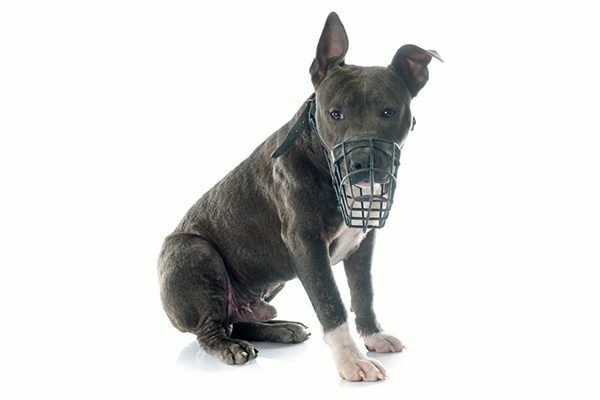 The post Dog Muzzles 101: How and When to Muzzle Your Dog appeared first on Dogster.